This ticket allows access to the opening party on Thursday 02 May from 23:50 - 06:00 at Discoteca Pacha. 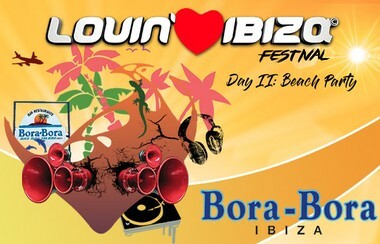 This ticket allows access to the beach party on Friday 03 May from 17:00 - 06:00 at Bora Bora. 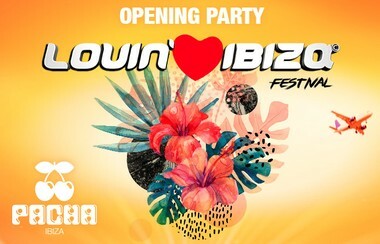 This ticket allows access to Lovin' Ibiza on Saturday 04 May from 23:00 - 06:00 at Amnesia. 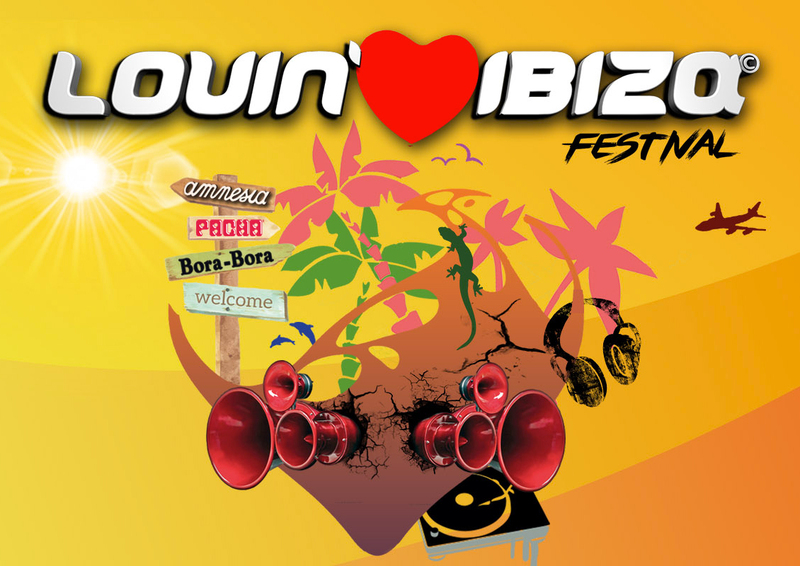 This ticket allows access to Lovin' Ibiza 2 days on Friday 03 May & Saturday 04 May. - Friday 03 May, 17:00 - 06:00: access to events as Beach party at Bora Bora + free drink - Saturday 04 May, 23:00 - 06:00: access to the event in Amnesia. 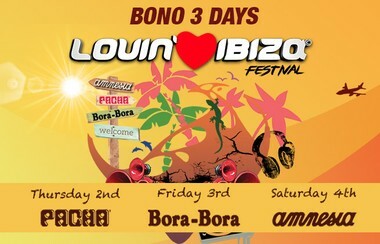 This ticket allows access to Lovin' Ibiza 3 days from Thursday 02 May - Saturday 04 May. - Thursday 02 May, 23:50 - 06:00: access to the opening party at Discoteca Pacha - Friday 03 May, 17:00 - 06:00: access to events as Beach party at Bora Bora + free drink - Saturday 04 May, 23:00 - 06:00: access to the event in Amnesia. 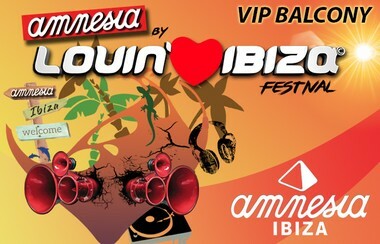 Purchase the VIP ticket to access to the Lovin' Ibiza VIP Ticket @Amnesia on Saturday, 4th of May. This includes access to VIP area. This package includes: 2-night accommodation with breakfast at Ibiza Rocks Hotel + Friday Entry Bora Bora Beach Party + Saturday Entrance Lovin' Ibiza Festival by Amnesia + Saturday Flower Power Pool Party at Ibiza Rocks Hotel. Located in the heart of San Antonio, Ibiza Rocks Hotel is just a short walk to the iconic Sunset Strip, bars and beach. With the ultimate closing parties on the island, the Ibiza Rocks Hotel itself offers two outdoor pools - one if you fancy a more chilled session of sunbathing and the main pool which hosts the daily pool parties from some of the island’s biggest club brands including Cream, Hed Kandi and We Love. There are also two bars; the Tropicana and Lobby, as well as the Electric Bar & Grill, which serves up delicious breakfasts, freshly made burgers, wraps, salads and smoothies poolside. 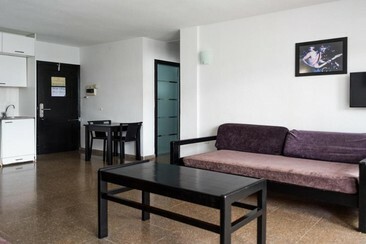 It offers rooms with a balcony, flat-screen TV, and in-room fridge. The bathroom comes with free toiletries and a shower. 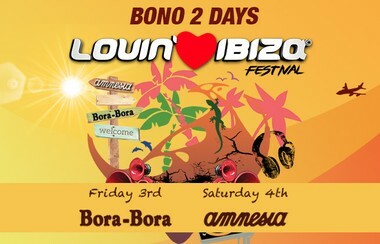 This package includes: 2-night accommodation with breakfast at Ibiza Rocks Hotel + Friday Ferry Denia - Ibiza with Party on Board + Port - Accommodation Transfers + Friday Entry Bora Bora Beach Party + Saturday Entrance Lovin' Ibiza Festival by Amnesia + Sunday Ferry Ibiza - Denia + Saturday Flower Power Pool Party at Ibiza Rocks Hotel. Located in the heart of San Antonio, Ibiza Rocks Hotel is just a short walk to the iconic Sunset Strip, bars and beach. With the ultimate closing parties on the island, the Ibiza Rocks Hotel itself offers two outdoor pools - one if you fancy a more chilled session of sunbathing and the main pool which hosts the daily pool parties from some of the island’s biggest club brands including Cream, Hed Kandi and We Love. There are also two bars; the Tropicana and Lobby, as well as the Electric Bar & Grill, which serves up delicious breakfasts, freshly made burgers, wraps, salads and smoothies poolside. It offers rooms with a balcony, flat-screen TV, and in-room fridge. The bathroom comes with free toiletries and a shower.